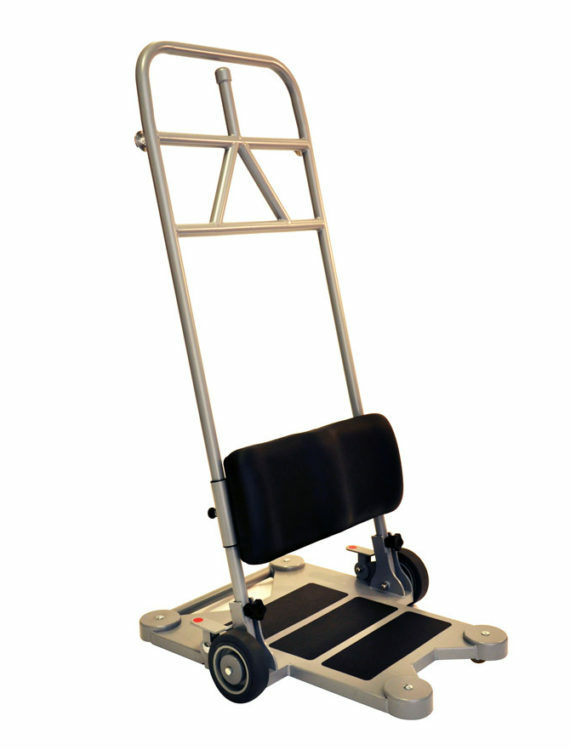 The Freeway Raiser is a sit to stand platform, which is designed to provide an active, safe and comfortable transfer of the user. 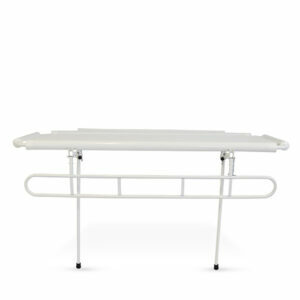 It is ideal for short distance transfers, such as to/from bed to chair. 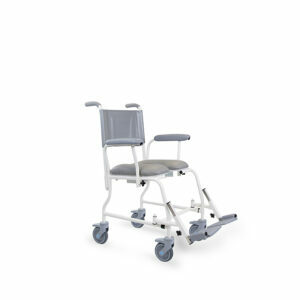 Its versatility allows use with wheelchairs, toilet and shower chairs. Soft and wide padding in the leg support improves stability, and the sturdy handle offers many grip options for both the user and the carer. 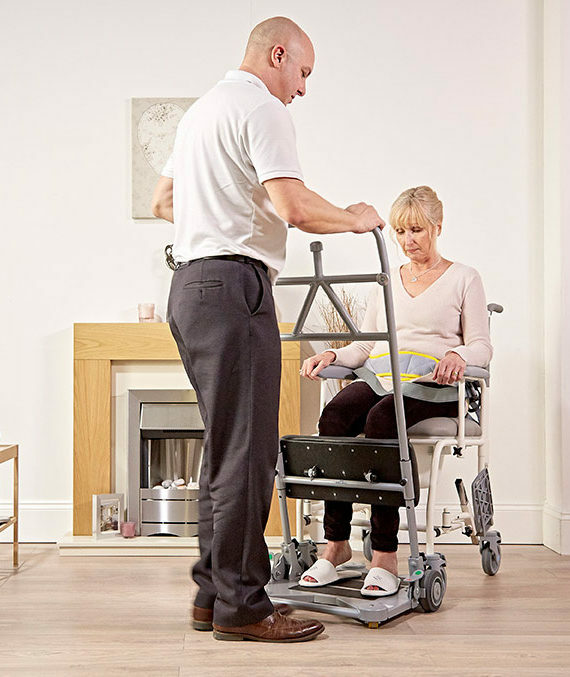 The rear wheels with independent locking manual brakes, makes it easy for a carer to manoeuvre, and provides maximum stability and safety for the user. The Freeway Raiser has a safe working load of 160 kg. 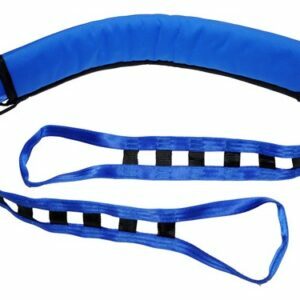 To meet the needs of the user, two different styles of safety belts are available – Freeway Ladder Strap and Freeway Safety Belt. 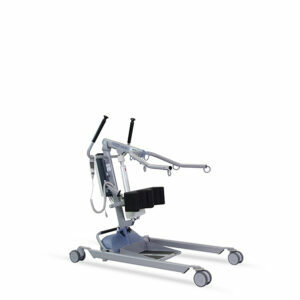 Both can be easily attached to the transfer platform to enable either one or two carers to assist a user to their feet. 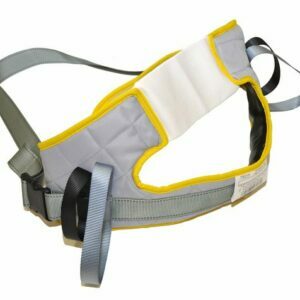 The unique handle mechanism on the Freeway Raiser provides further security and safety for belt fastening. 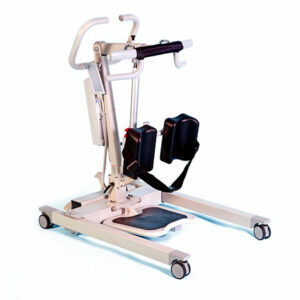 *The caregiver must always counterbalance the Freeway Raiser during the standing/sitting process. 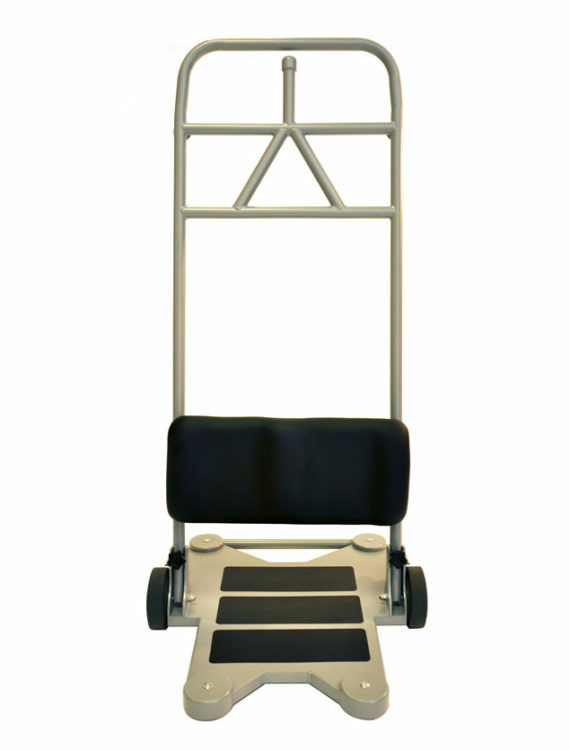 This can be done by placing one foot on the back of the footplate, holding the top of the unit steady with one hand or both options together.